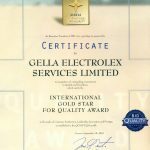 GELLA ELECTROLEX SERVICES LTD – Your Light in Technology with Electricity!!! engineering firms and we are striving to achieve more. 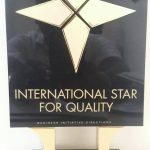 quality, all of our products are of certified high quality and standards. therefore extend our warmest regards. Our vision serves as the framework for our directions and guides every aspect of our business by describing what we need to accomplish in order to continue achieving sustainable, quality growth. Employees: Be a great place to work where people are inspired to be the best they can be. Partners: Nurture a winning network of customers and suppliers, together we create mutual enduring value. Productivity: Be the No. 1 choice when it comes to electrical contractors by providing the highest quality materials and most skilled engineers. To be the electrical contractor of choice! We will maintain and improve all customer relations and build a strong customer database, always maintaining and delivering the company and customers’ needs. We will continue to invest in facilities, systems and highly trained technical personnel providing added value to our business relationships. Gella Electrolex Services Limited has undertaken various projects for renowned companies such as Goldfields Ghana Limited-Tarkwa, Newmont Ghana Gold, Anglogold Ashanti Iduapriem Mine, as well as Stone and Webster International during the construction of the Takoradi Thermal Power Plant Project for V.R.A; and a lot more. Our Company has the manpower (Electrical Engineers & Technicians), equipment and requisite resources to enable us execute all Electrical projects within its capacity within the client’s stipulated period of time. Electricity Company of Ghana (ECG), Ghana Grid Company (Grid Co) and the Volta River Authority (VRA). Gella Electrolex Services is a Limited Liability company with no parent company. It has neither any financial or authoritative relationship with any holding company nor affiliated subsidiary, or related company. Nonetheless, to enhance a robust approach in running its business, Gella Electrolex Services limited has established a versatile network with other relevant establishments, which has enhanced the company’s technical, human and material resource mobilization base. In executing contracts, Gella Electrolex Services Limited, respects all safety rules and regulations of the client. It also insures its employees and equipment against all risks. Most of all, the company has the capability to source for all levels of personnel and equipment as and when required. 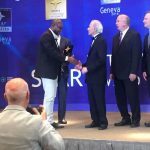 Gella Electrolex Services Limited has emerged as among the best in its sector in all of Ghana. Whether it be supplying power to remote work and mining sites, upgrading power distribution, the sales and supply of electrical materials and equipment, or electrical engineering consulting, Gella Electrolex gets the job done, and with the highest marks in customer satisfaction. Its clients include the goldfields of Tarkwa, Newmont Ghana Gold, Anglogold Ashanti, the Minerals Commission, Tarkwa Nsuaem Municipal Assembly, S.I.C Tarkwa, Billiton Bogoso, Gold in Tarkwa, Shell Ghana LTD, and many more of the major players involved in mining and related industries. 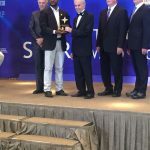 Already a leader in the market in Tarkwa and the Tarkwa Nsuaem Municipal Assembly, Gella Electrolex is expanding to regions beyond its home turf, increasingly being tapped to perform jobs in areas all around the country, with projects completed in the Western, Central, Greater-Accra, and Brong Ahafo regions. It has also leveraged its distribution platforms and connections in the industry to expand into the IT sector, as, just as industrial worksites have always needed electricity, they are increasingly reliant on internet connections as well. 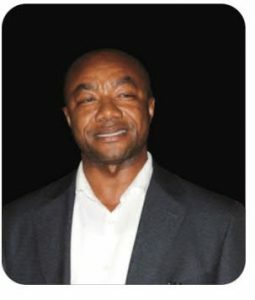 Alexander Bogney Bewong, CEO of Gella Electrolex, has maintained a policy of expanding the company’s quality programs into areas such as health and safety and corporate social responsibility (CSR). It maintains strict standards for the safety of its employees in new and sometimes hazardous worksites, and supports its employees with training in health and safety protocol. 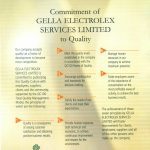 Gella Electrolex Services has a wide range of products and services tailored to your needs. Gella has a broad spectrum of services catering for INDUSTRIAL and COMMERCIAL Sectors, CONSULTANCY and DOMESTIC. Monday – Friday 08:00 a.m. – 05:00 p.m.
Saturday 08:00 a.m. – 12:00 p.m.